If you are searching a reliable home appliance repair company in Morristown, New Jersey, look no further! Our team has been offering top-quality and affordable services for a long time. We have become a trusted service provider due to our integrity and top-class workmanship. Whether you need to fix your fridge or install a brand new dryer, we will dispatch a local appliance service technician to assist you in no time. By being highly qualified, the pro will complete the task to your absolute satisfaction. So don’t waste your time.Feel free to contact Appliance Repair Morristown NJ today! When one of your home assistants breaks down on you, you can count on our appliance repair company to help you out in a jiffy. We are flexible in scheduling appointments. In most cases, we can send out a local expert the very same day of your call. All the appliance technicians we hire are experienced and trained to provide professional services for all makes and models out there. With a quick access to a large stock of spares, the specialists strive to complete each job in a single visit. 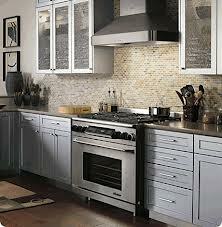 Aside from appliance repair services, our company specializes in routine maintenance. If the idea of facing an unexpected breakage seems frightening to you, turn to us. Through annual check-ups, we will help you keep your units fully operational for a longer time. If there will be any critical issues with one of your appliances, the local pro will detect and fix them right on the spot. With our regular appliance service, you will be able to prevent any tiny problems from growing worse! Like any other piece of machinery, your home appliances can stop operating for one reason or another. When it happens, get in touch with Appliance Repair in Morristown NJ as soon as you can. By hiring our company, you will get back to your daily chores in no time!